Today's post is about weaving -- actual weaving, the part where warp magically becomes fabric. Here in Maine we've finally got our first snow -- but Mother Nature put forward a pitiful effort. If it's gonna be cold, I say bring it on! I want enough snow for skiing, throwing snowballs, and sledding! 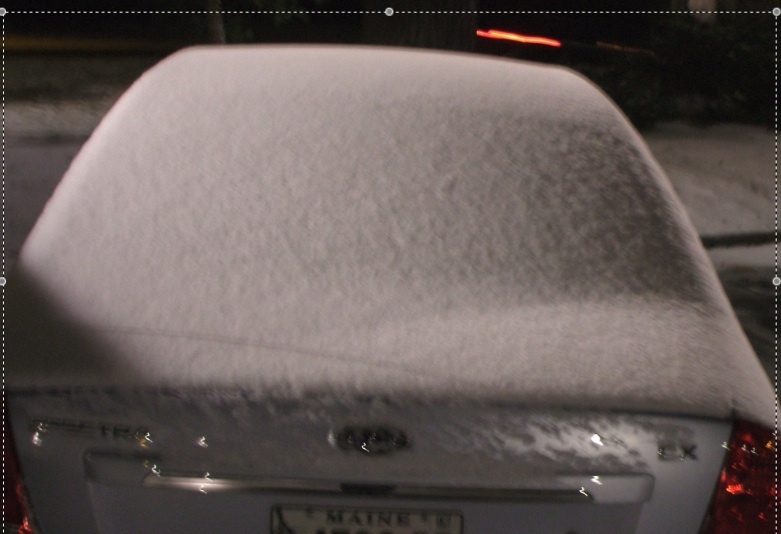 This was just enough to get sand and salt all over the floors at work . . . . 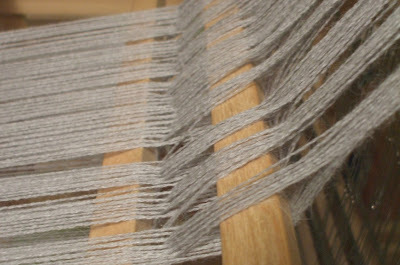 In the studio, although there are lots of distractions, I'm beaming my Alpaca/Silk warp. It's a bit sticky, and although I doubled up the threads in the cross, I had one end almost break (you know what that means later on, it will break once I start weaving. Bummah. Here's one of my distractions! Can't you just hear her? "You want to play with my Kong, right? Isn't it awesome? Throw it. Throw it. Throw it." To the resources. BTW, my next post will focus on problem solving (so I'll know what to do when that warp thread breaks, which it will). O-M-G, you have a BLOG!!!! !